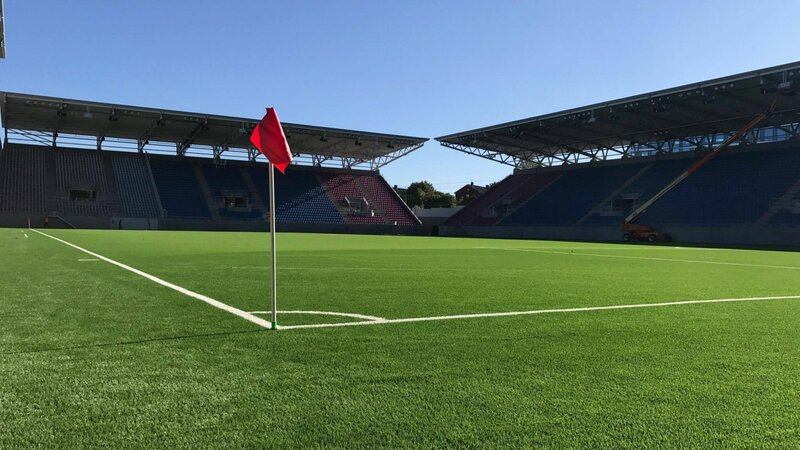 Ever since the professional league was founded in Norway, Vålerenga had played their games between two major stadia in Oslo: Bislett and Ullevål, with exception only for 1971, when the club landed in third league for a short while. None of the grounds belonged to the club and it's thus no wonder that one of the country's most popular teams had on numerous occasions drawn plans of a private ground just for them. For years nothing came out, until the successful project's story began in 2005. By 2008 public authorities agreed to transfer land in Valle Hovin, eastern Oslo. A year later the designer was selected, while in 2011 the general contractor followed. It took longer for the land transfer to go through and planning permission be granted (2014-2015) but finally in June of 2015 all the green lights were there, beginning 2 year-construction period. 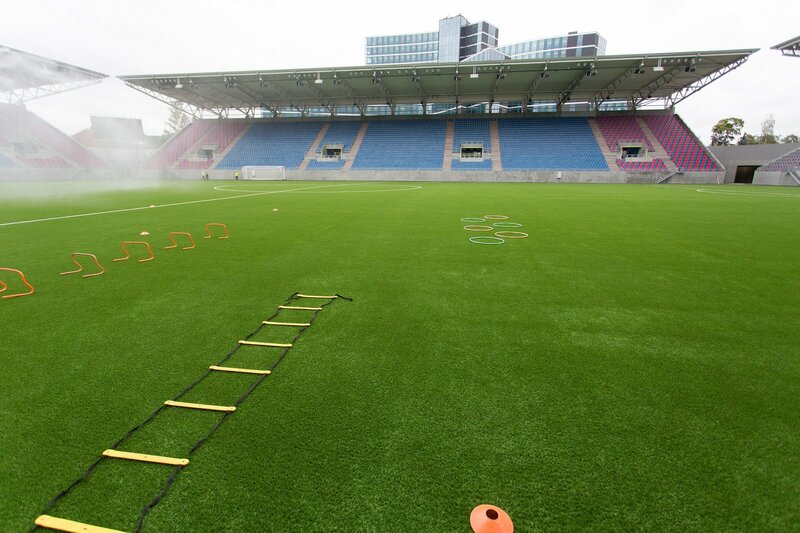 The key feature of the stadium is not to limit it to 15-20 matchdays per year but provide constant use. 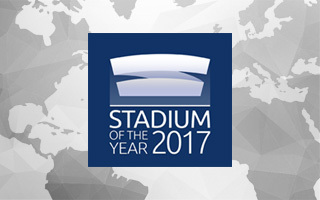 This is why a high school with sports hall was integrated into the western main stand, extending outside the stadium to the north and occupying three floors overall. 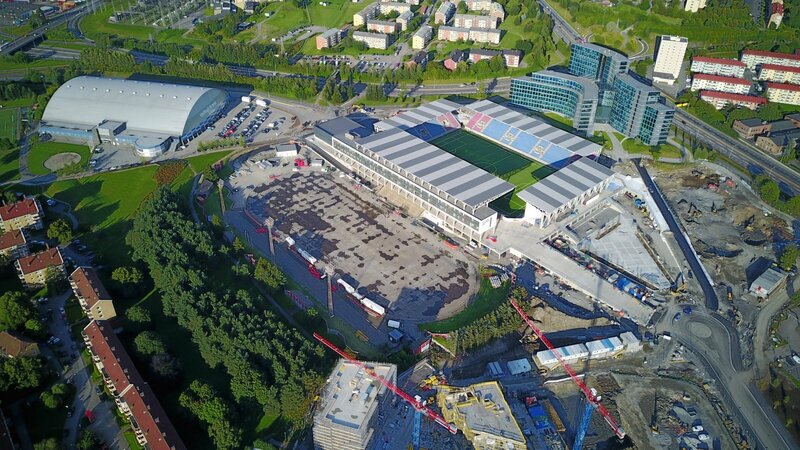 The school, which has facilities neighbouring the stadium's corporate zone, will provide education for 500 people. 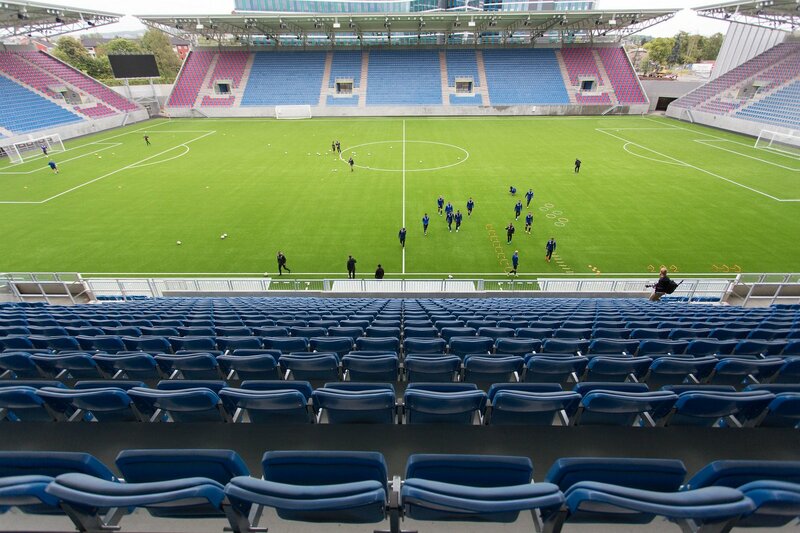 Contrary to most stadia in Norway, this one is funded and owned entirely privately. 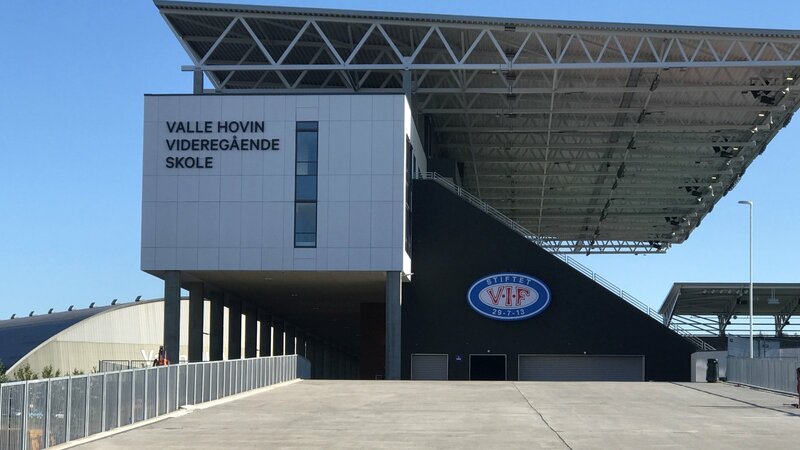 The school has leasehold on its part for 25 years, while the entire building is owned by Vålerenga, through a subsidiary. 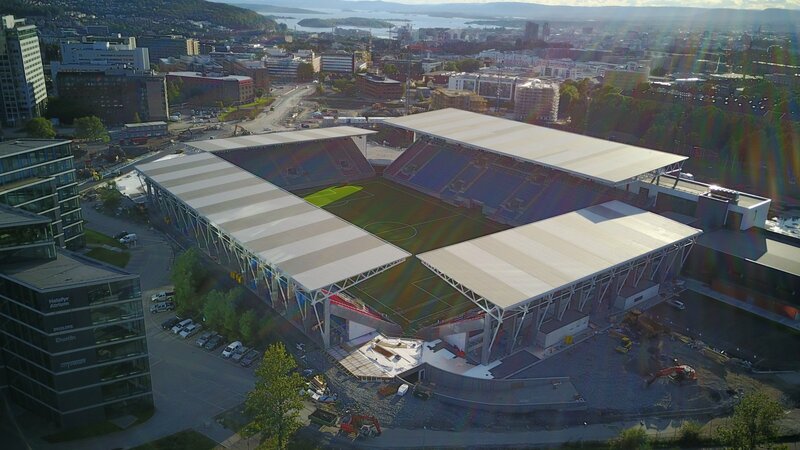 That subsidiary will operate loans taken for the stadium to get built, roughly NOK 400 million out of the 720 million total budget. 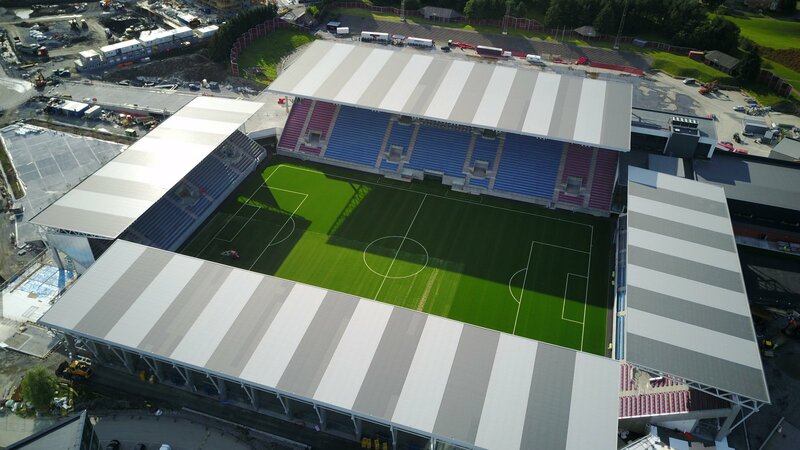 Initial images of the stadium suggested it would have a fully enclosed layout but the final structure was delivered without corner stands. This means not only cost reduction, but also adjustment to medium-term ticket demand. 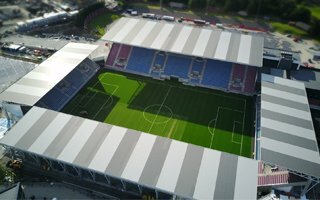 Should it grow in upcoming years, the corners can be filled and bring capacity to over 20,000. 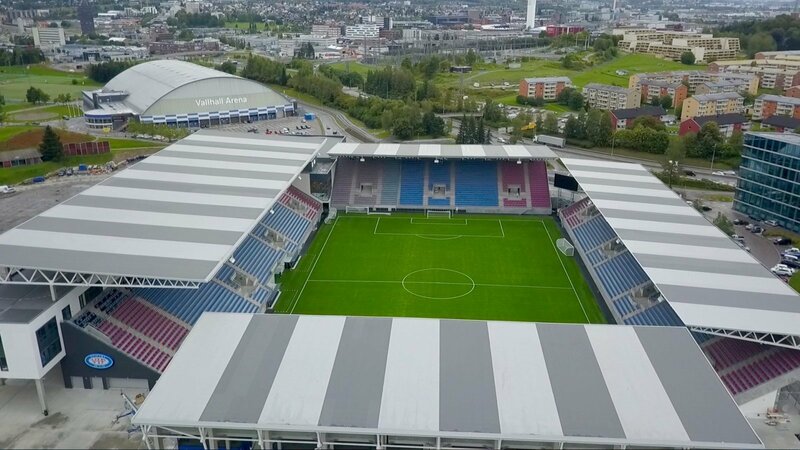 The north stand provides room for travelling supporters, while the south is dedicated to organised support of Klanen, the club's famous fans' association. Supporters themselves crowdfunded for side walls to be mounted onto the stand, protecting them from snow and wind. Behind the south end the stadium hosts its representative plaza for fans and students, where a pub, store and fitness club are planned. 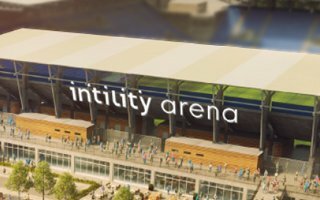 Meanwhile, the north and east stands have addtional parkng spaces beneath the auditorium due to lack of room directly next to the stadium, especially in the west, where an ice rink is placed. 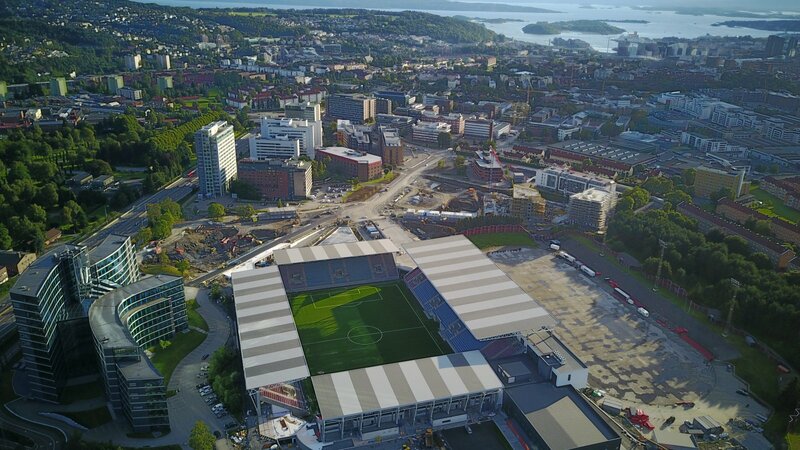 It wasn't the best game but it should be a new start for the popular Oslo team. 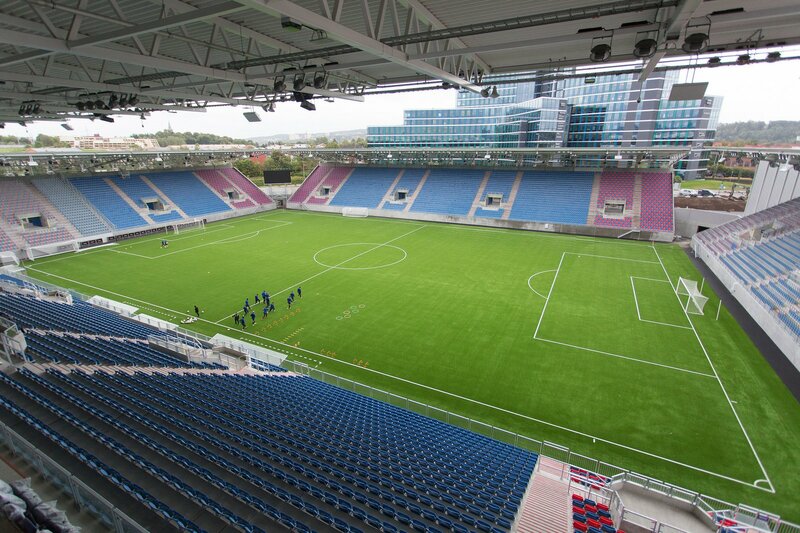 Their long-dreamed new stadium is finally here and its opening was quite a celebration.